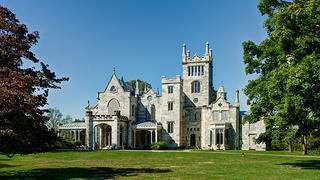 Lyndhurst, a National Historic Landmark, is widely acknowledged as one of the finest Gothic Revival mansions in America. 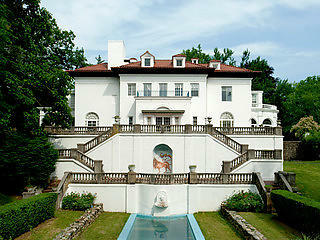 Designed in 1838 by Alexander Jackson Davis, it began as a country villa in the "pointed style." During the Civil War, Davis was commissioned to double the size of the mansion, creating the massive residence that survives today. 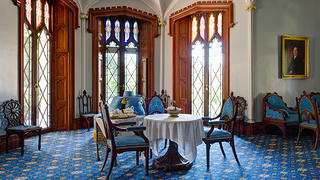 Throughout its history, the house has been enhanced and enriched by three families: the Pauldings, Merritts, and Goulds. 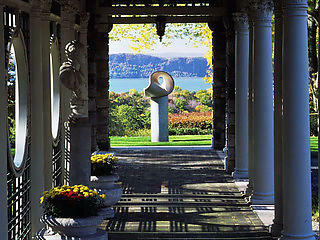 Lyndhurst is also a member of the National Trust's Distinctive Destinations program. 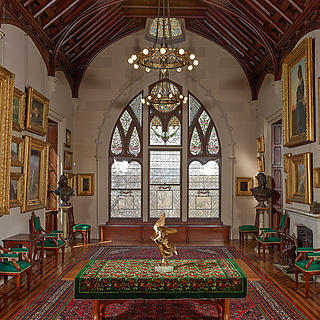 Unlike most homes constructed in the same period, Lyndhurst's asymmetrical outline earned it the nickname "Paulding's Folly"
The parlor is only one of the exquisitely decorated rooms in the mansion. 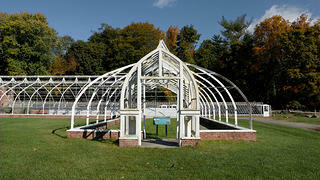 Lyndhurst's gardens include the steel-framed conservatory, the first of its kind in America. Explore new business and programmatic opportunities to transform Lyndhurst into a financially stable and growing destination, while initiating needed capital improvements. Transform the mansion and grounds above the Hudson River into a vibrant, sustainable, well-maintained historic destination. To receive discount, valid membership card must be presented at time of visit. Discount may not be available at certain times of year, particularly during October and December. Please contact Lyndhurst directly at info@lyndhurst.org or 914-631-4481 to determine if discount is available on date of planned visit and for specific tour desired.